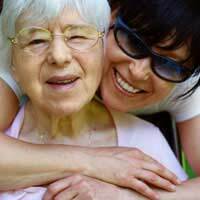 Older relatives can be an excellent source of family history information. Not only will they remember their own parents and grandparents, they can recall what life was like when they were young, offering valuable insights into local and social history. They can bring some ancestors alive who might otherwise only be names on a page, and recall family stories that would possibly be forgotten. Knowing what questions to ask can bring the most productive replies. What Was Life Like When You Were Young? The young see life through the prism of childhood and it often seems like a golden time with few responsibilities. As we grow older, though, we can look back and understand things we’d never realised at the time – family conflicts, hardships, the troubles and joys that seemed to pass us by back then. Your older relatives will have had time to understand all this, and can offer an unvarnished account of what life was really like back then. They might have grown up during the Second World War, for instance, and experienced some of the bombing. They’ll have seen their own relatives go off to fight and possibly some of them never come back. The older relatives bring personal insight to history, and make you aware of relatives you might never have paid attention to otherwise. What Were Your Parents and Grandparents Like? The grandparents of older relatives will have been people born in the 19th century, and quite possibly with the Victorian attitudes of the day – and they’ll have been relatives of yours, too. Although there’s a limited amount older relatives can say about their grandparents, who would inevitably have lived at a remove, they’ll know plenty about their own parents, and the way husband and wife interacted with each other and with their own parents or relatives. It’s a question that opens up the family and lets you see beyond the names, into relationships and jobs, financial success or poverty and possibly jealousy or arguments between different branches of the family. Remember, this is family history, and the more you can flesh out the family, you more you can pass on. Many older relatives will have grown up in the same city, town or village where they now live, but it will have changed over the decades. When young they’d have had the freedom to roam the area that we’d never give our children these days. They can document from memory how things have altered. Some will have grown up elsewhere and moved because of marriages or work, but they’ll still have memories of their formative years and what the area where they’d grown up had been like. This can be particularly valuable if the area no longer exists (if it was old terrace housing that’s been demolished, for instance). Every family has its stories. Some will be true while others will have been added to over the generations so that finding what’s real deep in them can be difficult. But these stories need to be told, and they need to be remembered. Encourage your older relatives to tell all the family stories they can recall so they’re not lost, even if they don’t seem to have much relevance to family history; everything you learn is useful in some way or another, even if it’s just helping to create a fuller picture of your family.After you’ve heard the stories you can look into them and determine what lies behind them; there might well prove to be something you’d never have found without their help. They might even relate to another family and can prove useful to someone else researching a family tree. You can write down what your older relatives tell you and you’ll still have the details, but that’s only part of the story. The best way is to record what they say, as you’ll have the tone and inflections of the words, which also impart a great deal, and you’ll have an audio record for the family history, a reminder of what person sounded like even after they’ve passed away. Use an old cassette recorder, if that’s all you have, or even better, a digital recorder where you can upload the conversation quite easily to your computer or to a website containing your family history, allowing everyone in the family to share it. Ultimately, though, it’s the recollections that are vital, no matter how you gather them. Make the effort to talk to older relatives – most people are always happy to discuss their past – before it’s too late and the history is lost forever.